Priyanka Chopra is a bit worried about beau Harman Baweja putting on a few hundred grams extra these days. Seems he literally went the whole hog during the shooting of Victory in Jaisalmer.. gorging on butter chicken, reshmi kababs, tikkas and all that. So she put him on a strict diet during their brief stay in Bangkok, where she was shooting a commercial. But a birdie informs that PC let him savour the Australian delicacies when they went partying in Sydney, where they took off to, to bring in 2008. Now that is what we call love. It's batting time for Harman Baweja. For a new film titled Victory that he has signed, Harman has been brushing up his cricketing skills from his college days. "Harman has always been a cricket buff. Lately he had no opportunity to hone his cricketing skills thanks to his busy schedules. Now this character of a cricketer which he gets to play in Victory has given him a chance to discover his passion for the game," said a friend. "Since he'll be playing with professional cricketers from the world over - just like John (Abraham) plays football with real footballers in Goal -Harman has to be really careful not to end up looking like amateur with the bat," the friend added. Sports and sports films seem to be occupying a lot of our cinematic space. It therefore comes as no surprise to know that the sporty Harman Baweja is doing this cricket film to be directed by theatre and TV personality Ajit Pal. Harman said he starts work on the film in November. Victory will feature Anupam Kher as Harman's father and Amrita Rao will be the leading lady. "It's a brilliant subject," says Anupam. "I've known Ajit Pal from his theatre days. Though I don't get to play cricket in the film I'd any day be part of the pavilion in a film as well-meaning as this." West Indies Brian Lara will have his first innings of the silver screen with Bollywood. The world-class cricketer is making his Bollywood debut in an Adlabs film Victory, based on cricket. The film will also star Bret Lee and Harman Baweja. Baweja will play cricketer in the film along with 18 cricketing stars from India , Australia and New Zealand . Our source who is closely associated with the film, says, "One of the cricketers who is surely a part of Adlabs' Victory is Brian Lara. The film, starring Harman and Amrita Rao, will be directed by Ajit Pal. He will be leaving for Australia by the end of this month where he will start shooting with the cricket superstars. Harman meanwhile is shooting at Jaisalmer in Rajasthan, before he leaves for Australia . He is being trained by a professional cricketer for a few months now." Harman Baweja confirms that he is playing a cricketer. He says, "I am playing a cricketer in Victory. I can't divulge too many details about the film at this point. I have heard that Brian Lara and Brett Lee are being considered." Our source adds, "Victory is the story of a boy who comes from a small town like Jaisalmer, and is a natural cricketer who goes on to become the biggest cricketer the world has ever seen. Harman suited the role perfectly. The film is being shot extensively in Jaisalmer and soon the unit will go to Australia where Brian Lara and other cricketers too will join." That’s what they are being referred to in tinsel town, the one crore kids... they are the newcomers and debutants of Bollywood whose asking price is in the Rs 1 crore bracket already. 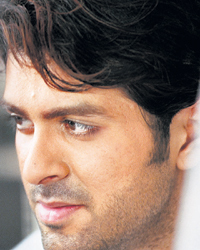 It started with Ranbir Kapoor and Neil Nitin Mukesh who proved their worth with their first films. Harman Baweja and Nikhil Dwivedi are next in the line. Life’s been great to all of them already as they have faced none of that struggle which conventional beginners face before they start commanding handsome amounts. According to trade analysts and industry watchers, the male newcomers have never had it so good. Not only are they perceived as stars even before their first films release, but most of them have also signed their next big projects and have been paid whopping sums as signing amounts. Take Ranbir Kapoor, who despite the lukewarm response to Saawariya, has bagged a Yash Chopra film for close to a crore (or even more, say market sources). Then there’s Harman Baweja, whose first film Love Story 2050 opposite Priyanka Chopra is yet to release, but who has already signed on director Ajit Pal’s Victory for reportedly a crore. With his looks, Harman can well be the next big thing in Bollywood, say sources. And there is Nikhil Dwivedi, who debuts in E Niwas’s My Name Is Anthony Gonsalves opposite the pretty Amrita Rao in January. He has been signed by Risk Advertising and Media for an astonishing Rs 1 crore to do an untitled film. And, in addition to that, Nikhil has also been signed to play Arjun in the remake of the classic 1980s film which had Sunny Deol in the lead. Spokesperson for Risk Advertising and Media confirmed the Rs 1 crore signing amount. We felt that Nikhil has great potential and a long innings ahead. So we signed him on with a suitable amount,” claimed spokesman Riaz. But Nikhil’s streak of good fortune does not end here, he has also been signed on for two new films by Sahara Motion Pictures. The signing amount? Your guess is as good as ours! Way to go boys. What’s the first thing you do on waking up? I look at the time and say, “Whaaat alreadyy!” That happens seven days a week. Like I need to rush to the studio now and I’m late by 20 minutes already. I work haphazardly. My staff has to keep up with me because I think really fast. And it has to happen right away, so my staff has to be on their toes. This year, except for Salaam-e-Ishq, you weren’t seen at all. I have been working on Drona and Love Story 2050. Each film took 100-115 days. The entire year went in that. Next year, I’ll have a couple of releases back to back. You’re into heavy duty action sequences..right? I did a bit of that in Don but Drona is hard-core action.. This year there are two new entrants in industry — Deepika Padukone and Sonam Kapoor. Even Bipasha Basu is in form. Do you consider them to be competition? I count that as healthy competition. For me every film is an exam, it takes me ahead. Madhur Bhandarkar’s Fashion. 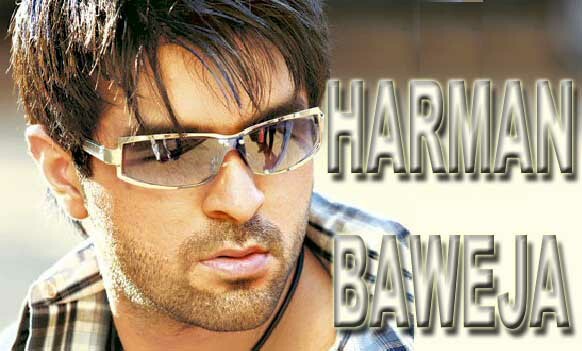 Karan Johar’s film, for which we are still hunting for a name..
Is Harman Baweja the man in your life? Not exactly. I am extremely close to Harman. We hang around a lot together. People suspect all sorts of stuff. Fine, let them. For me, it’s too early to say anything.